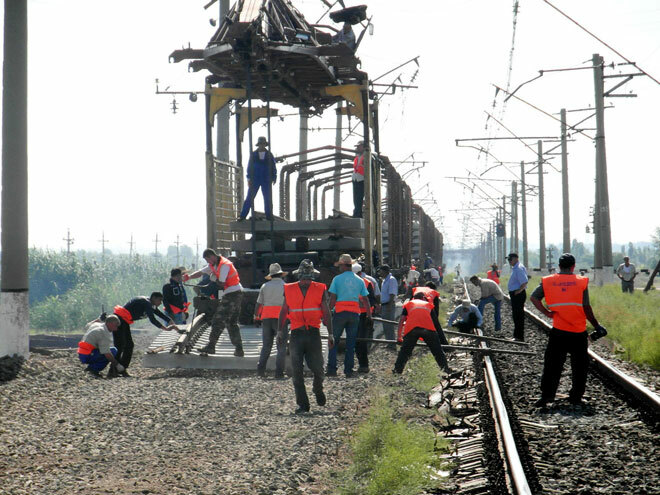 Azerbaijan Railways CJSC has repaired 100 kilometres of railroads as part of the overhaul of the Baku-Boyuk Kesik railway section during the period from July 2012 until late February 2013, according to a statement published on the company's official website. According to the report, a total of 200 kilometres of the railway have been repaired within the overhaul of the section in a westerly direction. 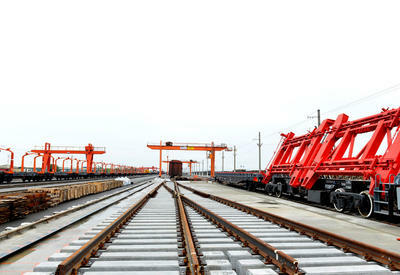 A major overhaul of 317 kilometres of the Baku-Boyuk Kesik railway is being conducted through a loan of $215 million allocated by the Czech Exim Bank. The work was launched on June 10, 2011 at the 97th kilometre of Agstafa-Tatli. Specialised agencies number four and 11 of Demiryolservis, part of Azerbaijan Railways CJSC, and the corresponding structures of the Infrastructure Department are involved in the construction.